Brand from Japan: Kao. This lightweight yet effective makeup remover lifts off makeup, dirt and excess sebum from pores, leaving skin with a clean and refreshed feeling. 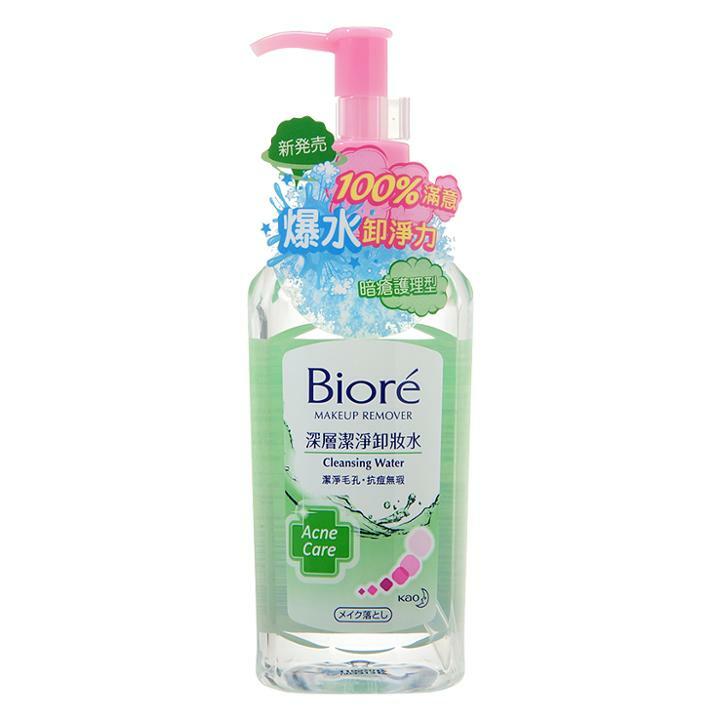 With natural mineral water from Northern Japanese alps that is gentle on the skin. It has an oil control formula that removes excess sebum and controls oil to leave skin feeling refreshed for longer. Anti-acne formula removes excess sebum and dirt deep within pores to help prevent pimples and acne while the anti-bacterial ingredients help to reduce acne. Suitable for acne prone skin.